Our planet is full of incredible natural wonders and landscapes that you have to see for yourself to believe. While some are breathtaking and awe-inspiring, others are just plain strange. 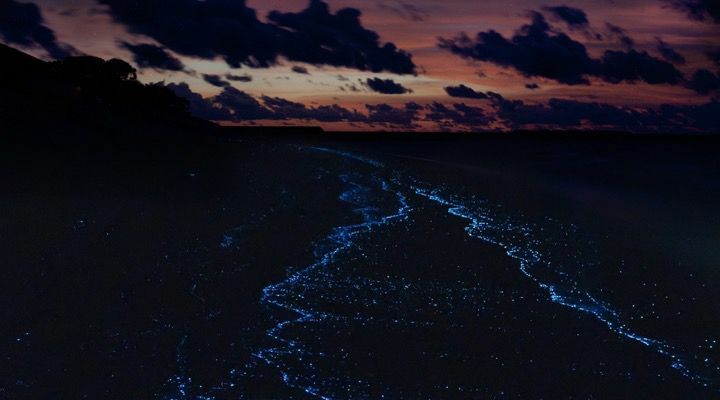 The bay located in a cove on the southern shore of Vieques, a small island off the coast of Puerto Rico, is home to the brightest bioluminescent water in the world. While it looks magical, the water shines thanks to bioluminescent plankton that lights up when disturbed. The lake is located in Western Australia and was discovered in 1802. 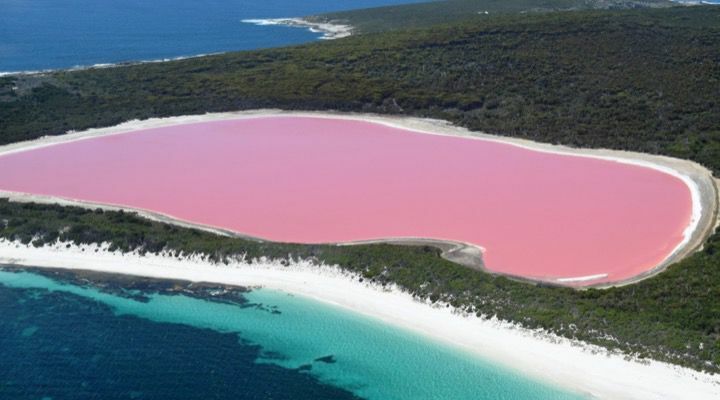 It has become famous for the bright pink color of the water, which scientists suspect is a result of algae that thrive in the lake. The unique shoreline is located in Northern Ireland. 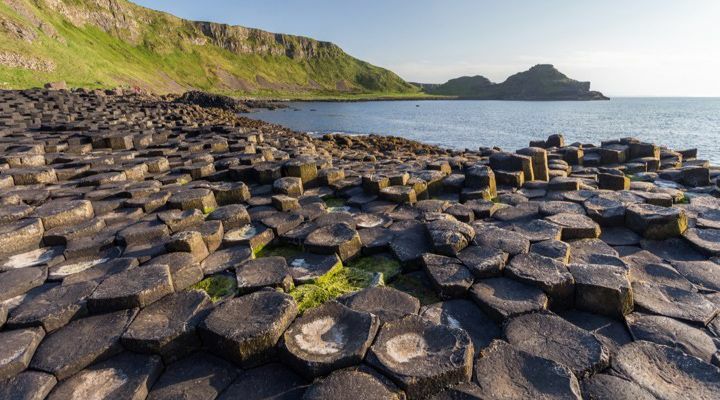 The strange site is made up of 40,000 hexagon-shaped columns of basalt that formed naturally 60 million years ago because of volcanic activity. 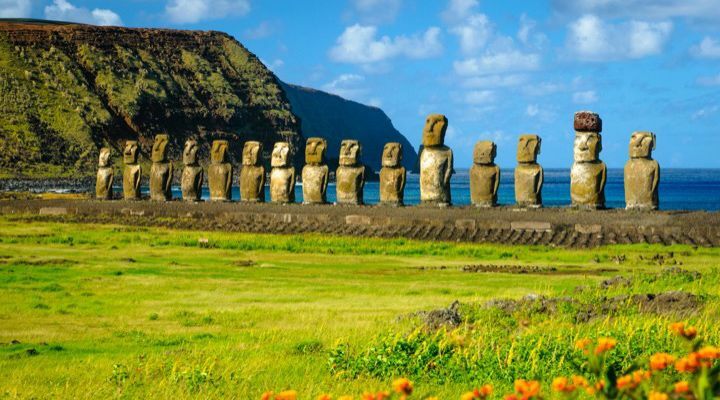 The Chilean island in the Pacific Ocean is home to 900 incredible statues called Moai. It’s believed they were made between 1100 and 1500 CE. While the massive statue heads are impressive enough, archeologists discovered they are just the tip of the iceberg. Their bodies are buried under the ground. While the Iceland lagoon is surrounded by snow and volcanic rock, the stunning water remains around 100 degrees all year round. 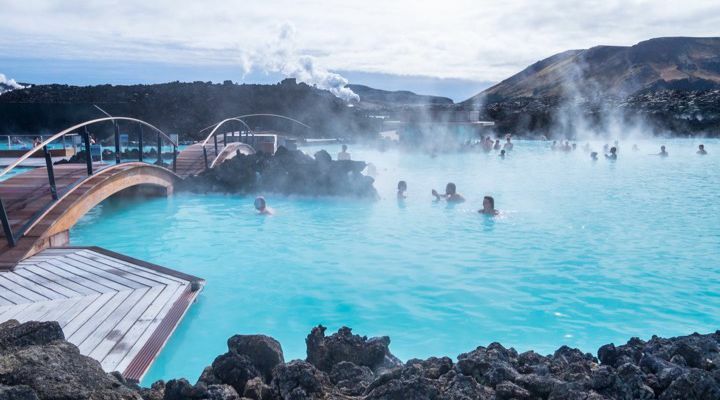 The crystal blue lagoon, which gets its color from high levels of silica, has become a huge tourist attraction. The Nevada geyser was created accidentally in 1964 during an unsuccessful thermal drilling test. Since then, hot mineral water has spouted from the borehole and created a shell made of calcium carbonate. 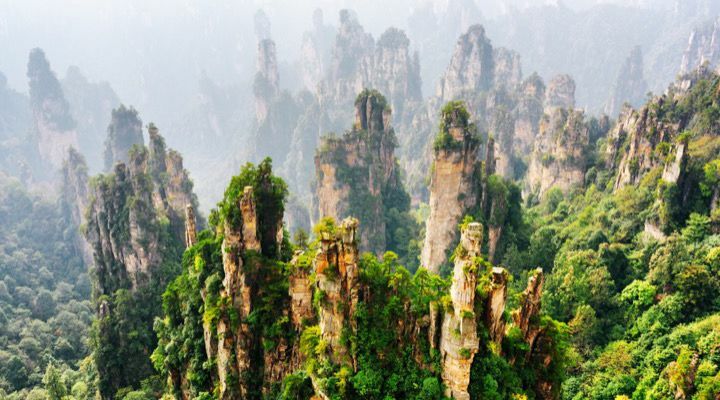 The Chinese mountain range, which was an inspiration for James Cameron’s Avatar, is made up of incredible pillars that formed when the area was submerged under an ocean that no longer exists. 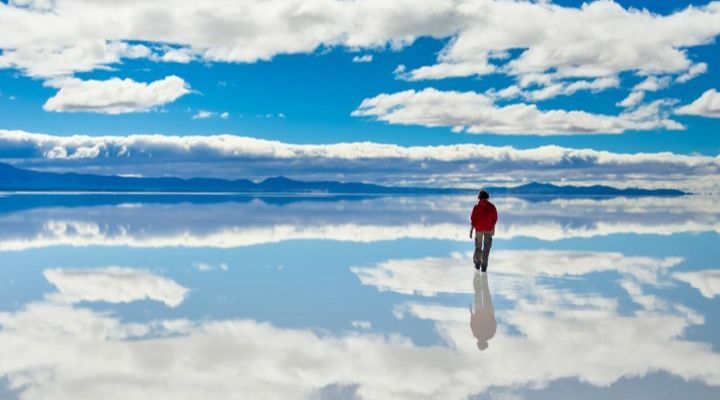 The Argentinian salt flats stretch over 3,000 square miles of land. 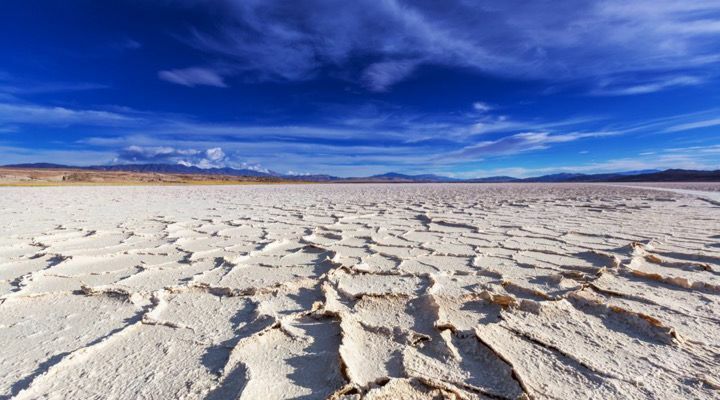 The area used to be submerged under water, but it completely evaporated over time and left behind nothing but salt. 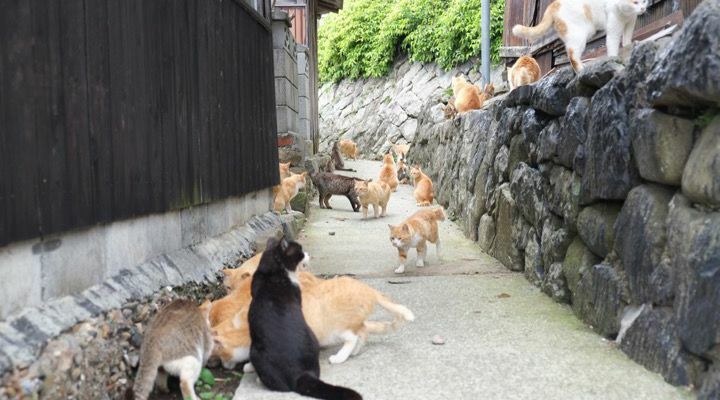 The Japanese island has famously been nicknamed “Cat Island” for the massive cat population that calls the island home. The cats were first brought to the island to stop the spread of mice, but the cat population quickly grew and they now outnumber humans on the island six to one. 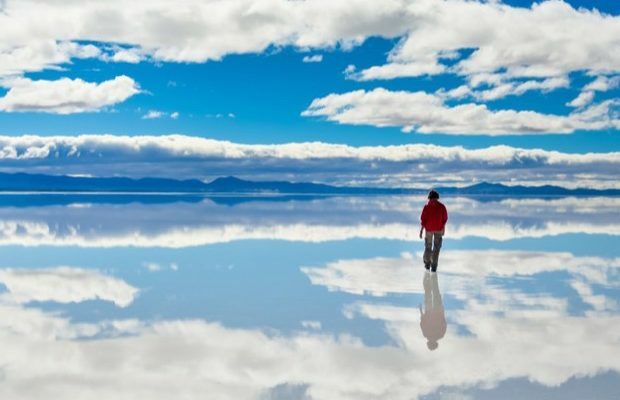 The Bolivian salt pan is the largest in the world. What makes it even more amazing, however, is when a thin film of water collects on the surface and turns the ground into a natural mirror. This extraordinary lake in Tanzania contains an extreme amount of sodium bicarbonate that kills whatever enters the water and turns it into a statue through calcification. 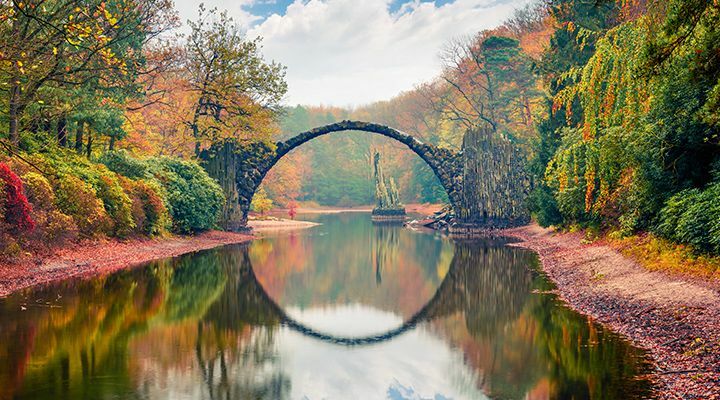 The German bridge, also called Devil’s Bridge, creates a perfect circle with its reflection. What’s strange, however, is that the perfect circle remains perfect no matter what angle it’s viewed from. The Canadian lake is the most mineralized lake in the world. 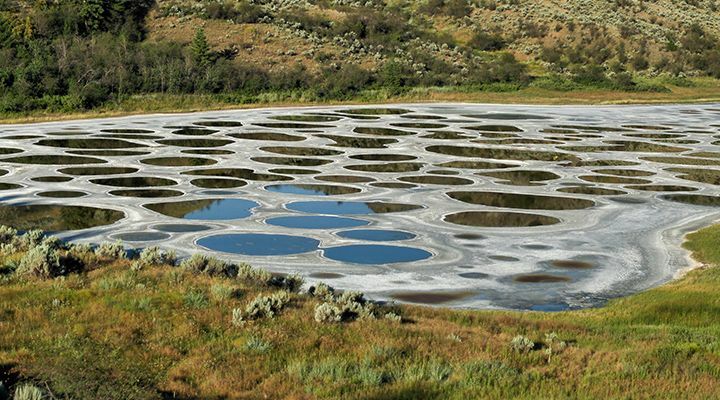 365 round spots exist on the bed of the lake and each one contains a different chemical giving it a different color. When the lake evaporates each summer, the brightly colored dots are revealed. 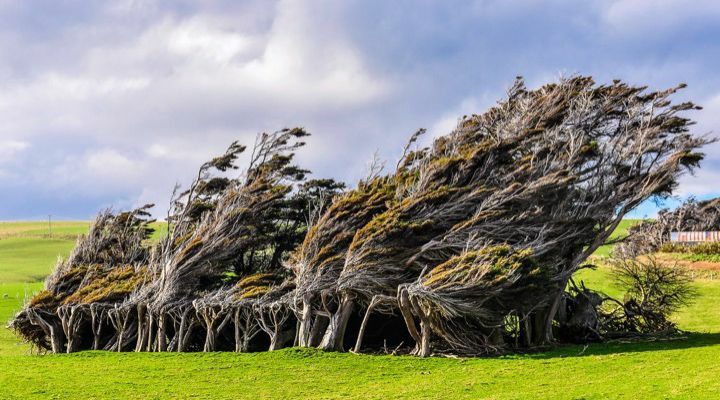 The New Zealand forest is so windy that the trees in the forest have become permanently windswept. 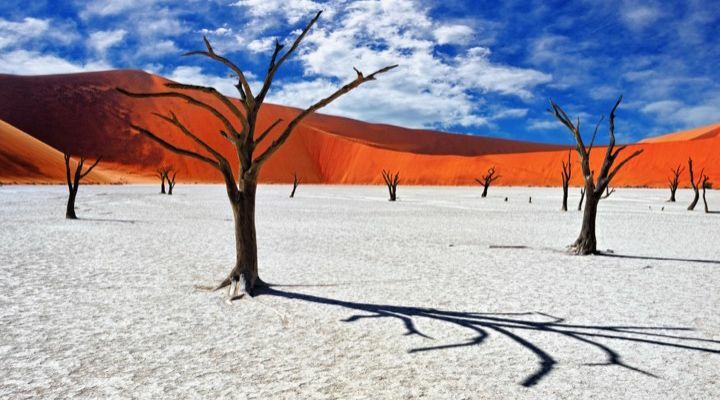 The Namibian forest is located in the middle of a desert clay pan surrounded by sand dunes. The intense sun and lack of water force the blackened trees’ roots to poke out of the ground in search of moisture. 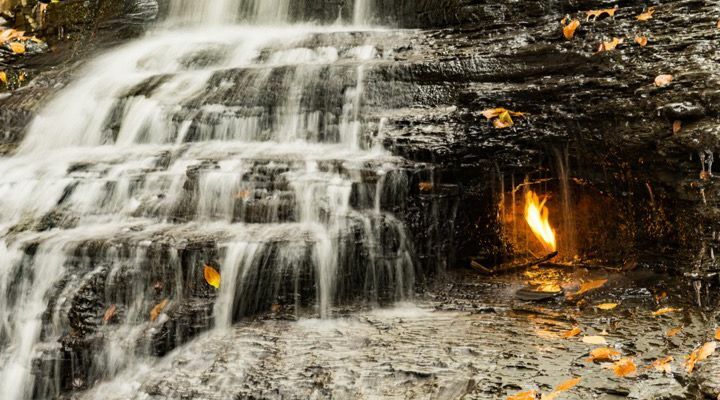 The waterfall, located in New York, leaks natural gases from the ground that fuels a bright flame that burns right behind the water. Occasionally, the water puts the flame out but it can easily be relit with a lighter. 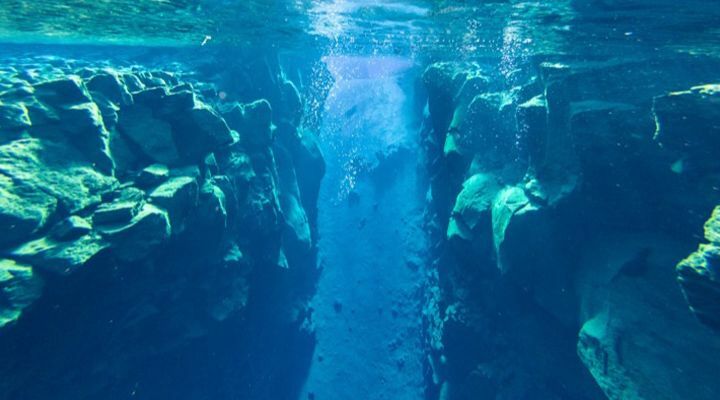 The famous dive site in Iceland is a freshwater rift that separates two continents as well as the North American and Eurasian tectonic plates. The water here is some of the clearest in the world and there are spots where divers can touch both continents at one time. 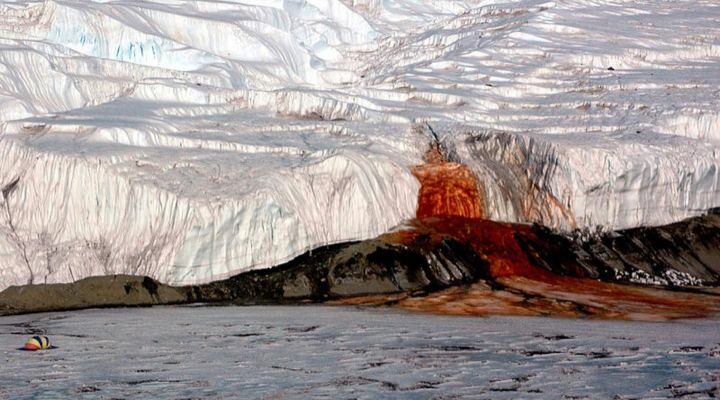 Blood Falls is a strange stream of salt water flowing from the tongue of Taylor Glacier in Antarctica. 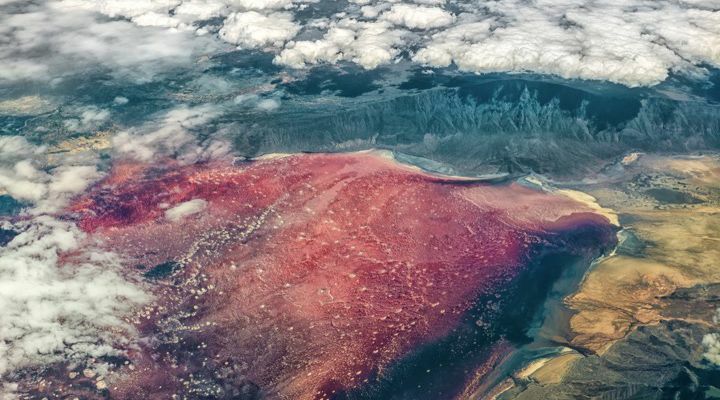 The saltwater looks like blood because of huge amounts of iron that make the water appear red. 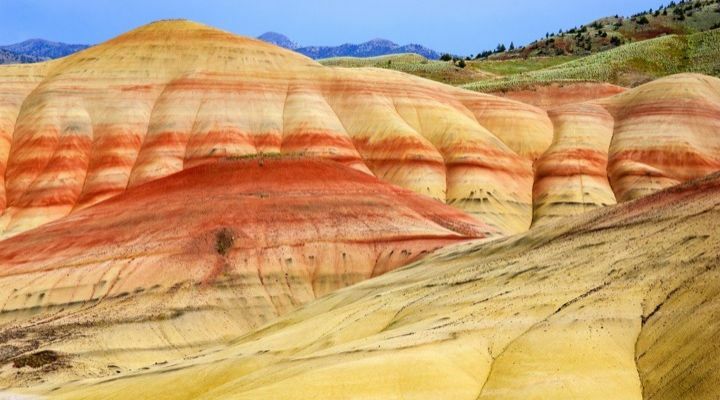 Thanks to minerals in the soil, the beautiful hills in Oregon have a layered rainbow appearance. As light and moisture levels change, the colors can become more intense. 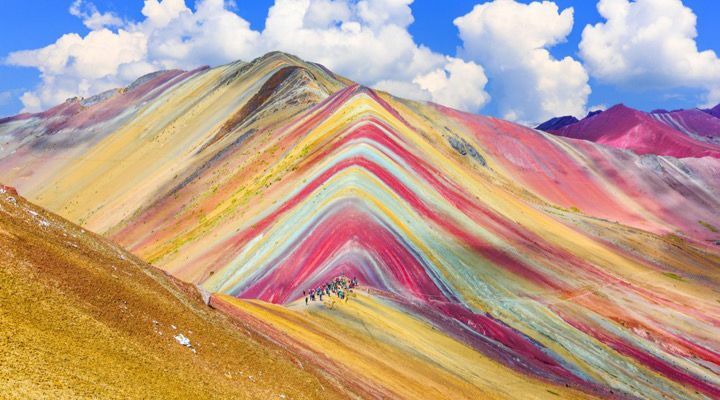 Like the rainbow hills in Oregon, The Peruvian mountain is covered in beautiful stripes of intense blue, red, green, pink, and yellow soil. However, scientists still can’t figure out what causes the stunning phenomenon. 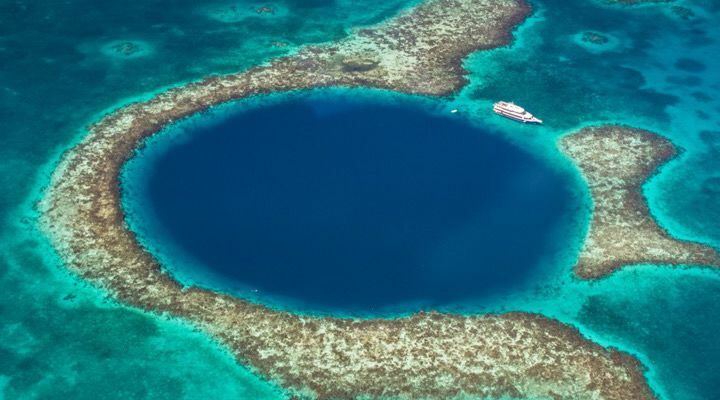 The massive marine sinkhole is located off the coast of Belize that has become a popular spot among scuba divers and tourists. What’s amazing, however, is that we still don’t know how deep the sinkhole goes. 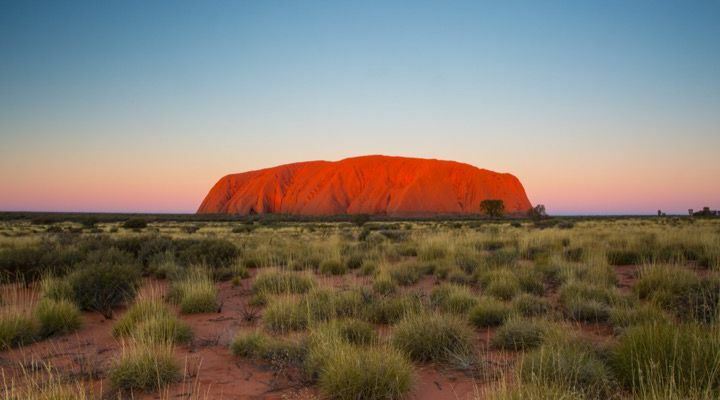 The tourist destination and aboriginal sacred site located in the middle of Australia looks like a mountain but it is actually one single, giant rock. It has a circumference of 5.8 miles and is 2,831 feet tall. 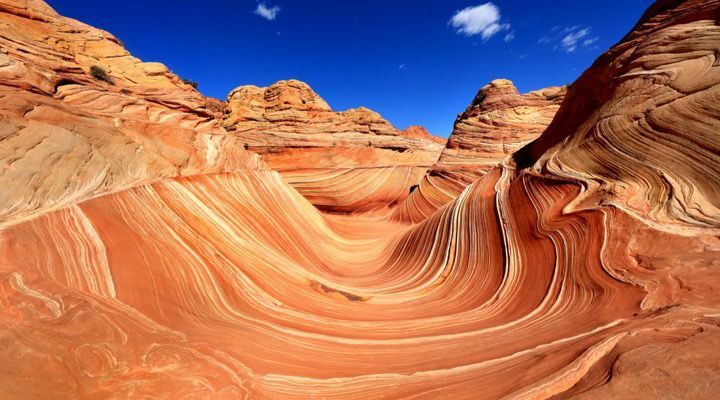 The sandstone rock formation located in Arizona is covered in mesmerizing swirling bands of colors that are believed to have been formed in the Jurassic era. 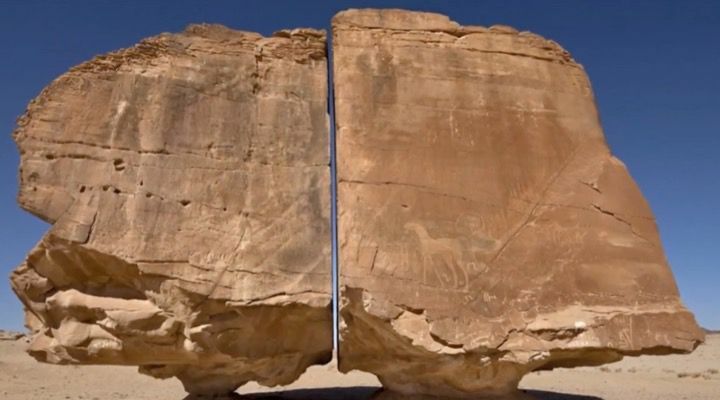 The fascinating megalith is located in the Tamya Oasis in Saudi Arabia. The sandstone block sits perched perfectly on a natural pedestal. What’s strange, however, is that it has been split down the middle with a perfectly uniform gap. Scientists still don’t know how the laser-like precise split happened. 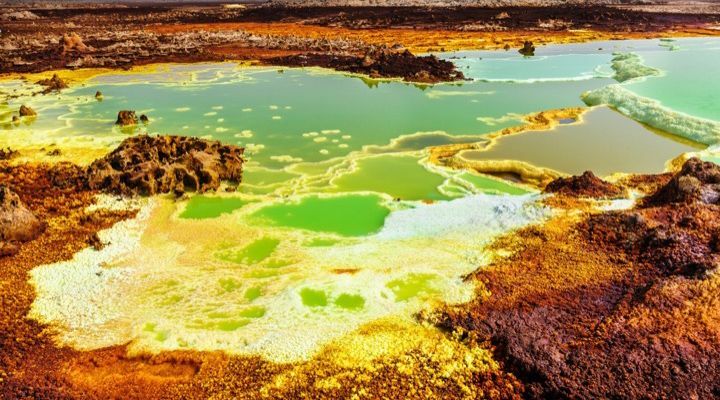 The strange site located in Ethiopia appears to be covered in small pools of water. 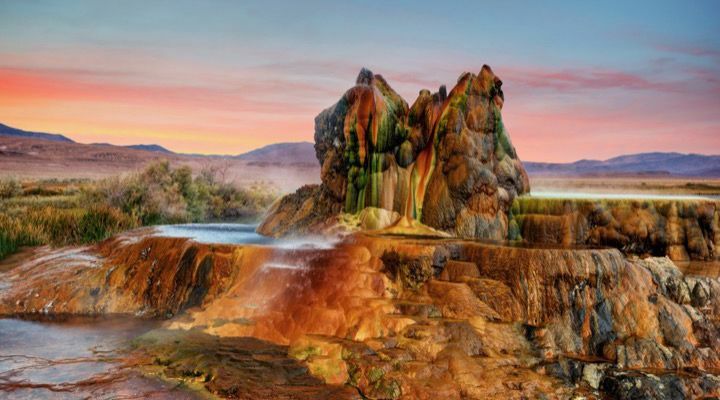 In reality, those pools are actually full of acid and the ground is actually brittle crusts of salt and sulfur. The geological depression was created by the divergence of three tectonic plates. 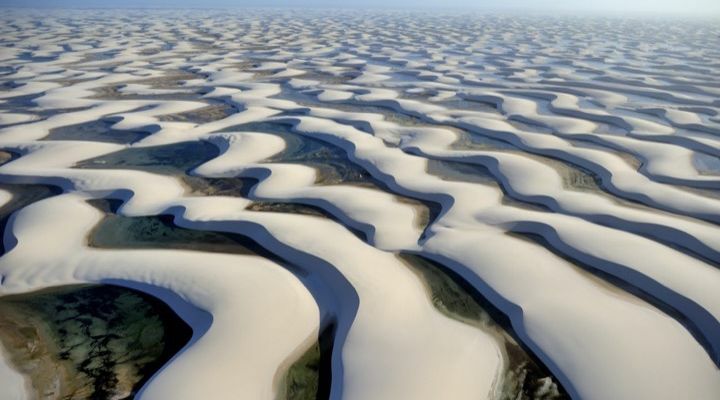 The Brazilian national park appears to be a desert. However, small pools actually sit at the base of each sand dune. 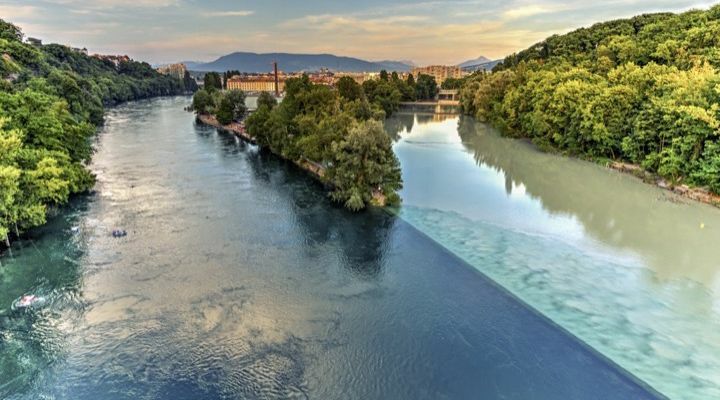 The two rivers in Switzerland join together at one point to form one river. However, the blue water of the Rhone river never mixes with the brown water of the Arve river because they have different densities. 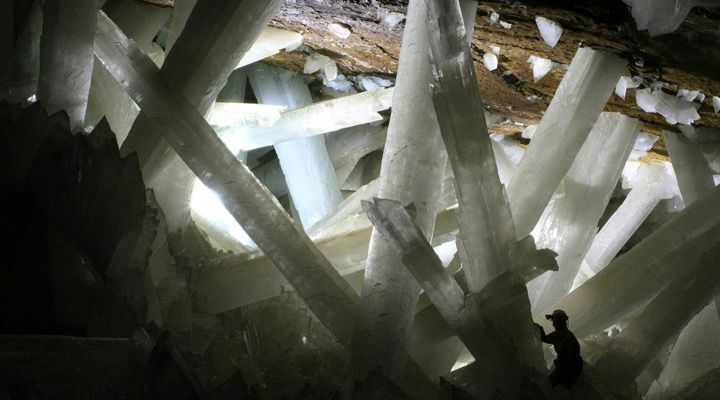 The cave located almost 1,000 feet underground in Naica, Mexico, contains huge selenite crystal pillars. They are some of the largest natural crystals to have ever been discovered. 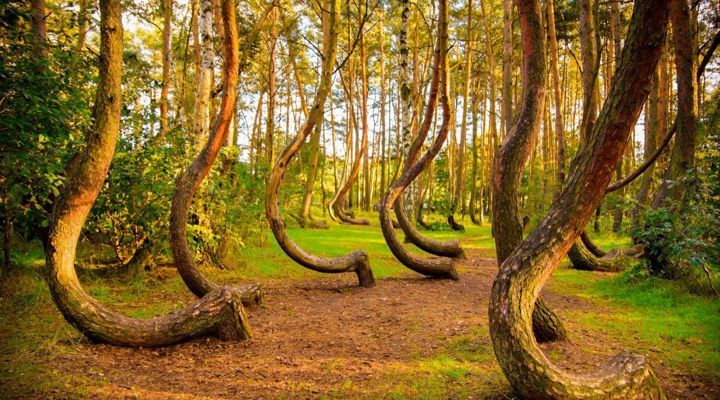 The strange forest located in Poland is home to a grove of about 100 pine trees that each have grown with a 90-degree bend at their base. 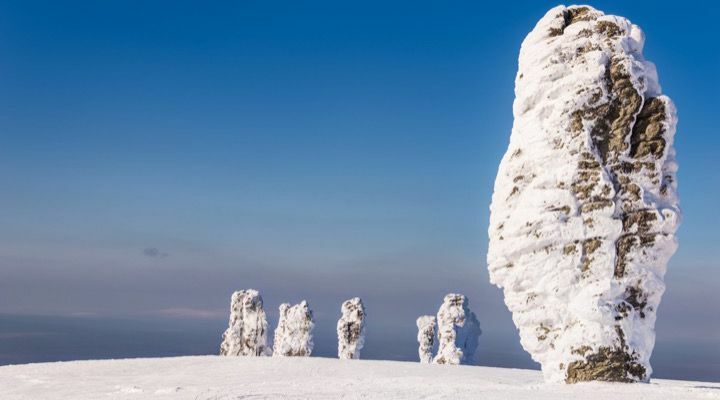 No one knows how or why the trees have grown in this manner, but it is believed a human tool or technique was used for an unknown reason to create the bizarre forest. The Seven Giants, or the Manpupuner Rock Formations, are seven massive stone pillars located deep within the Ural mountains in Russia. No one knows exactly how the massive rock formations that stand up to 137 feet tall, got there or if they were naturally formed.